Thomas Kelati (195-G/F-82, college: Washington St.) and his Turow extended their impressive winning run across ULEB Cup regular season. They clinched the 8th win at the tournament beating Uniks Kazan 73:68 at home. The win also ensured the top spot finish for Turow in Group I. Uniks were slightly better at the start as they drove to a 16:15 lead after the opening stanza. The game stayed close in the second frame. The visitors organized a 6:0 run late in the second half to surge ahead 37:32. Sergei Chikalkin and Dusko Savanovic later deepened the damage 52:45. Robert Witka capped the third frame with a jumper for Turow to trail by 5 points heading into the fourth period. David Logan and Robert Witka connected from afar to set the hosts rolling in the fourth stanza. But it was Dusko Savanovic who buried 7 points and Tusek who added 2 more for Uniks to regain the lead at 66:65. It was not the end though as Thomas Kelati (195-G/F-82, college: Washington St.) masterminded a 5:0 run for Turow to claim the lead for good. Marko Scekic ended the game with 16 points for Turow. 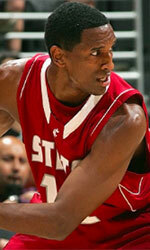 David Logan contributed 14 points for the winners. Sergei Chikalkin, Dusko Savanovic and Darjus Lavrinovic secured 13 points apiece in a loss. Turow will now head to Jerusalem to take on Hapoel in the last round. In the previous round Polish Turow secured their elimination round birth as they came out victorious of Round 8. Turow grabbed a difficult victory over Strasbourg 64:61 in France to climb to 7-1 record in Group I. ULEB Cup debutants struggled throughout three quarters and entered the fourth period trailing by 8 points. However Iwo Kitzinger knocked down a triple to start a comeback effort from Turow. Thomas Kelati and David Logan connected from downtown to cut the deficit to just 2 points with two minutes of playing time. Turow's defense proved thick in the last minutes as they kept Strasbourg scoreless, while Thomas Kelati nailed a treble to seal the victory for Turow. 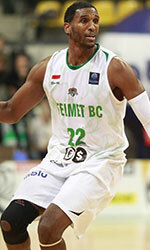 Thomas Kelati topscored with 22 points for Polish side. David Logan contributed 13 points, while Andres Rodriguez produced 8 points, 6 boards, 6 assists and 3 steals for the winners. Afik Nissim paced the hosts with 13 points.